Brooks Resources proudly presents the 12th Annual RiverFeast Dinner & Auction to benefit the Deschutes River Conservancy on Saturday, May 11th at the Unitarian Universalist Fellowship of Central Oregon’s beautiful event space. Tickets to attend RiverFeast are $100 per person and include a four-course dinner, wine from Va Piano Vineyards, beer from Deschutes Brewery and live music. During the evening, guests will bid on exclusive travel adventures and experiences, custom art and rare fishing opportunities. Funds raised at RiverFeast support the Deschutes River Conservancy’s mission to restore streamflow and improve water quality in the Deschutes River Basin. For ticket purchase and 2019 RiverFeast sponsor opportunities, please call Marisa Hossick at 541-382-4077 x25 or visit the event website. 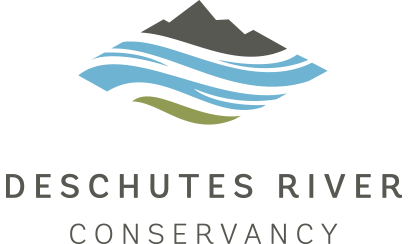 About the Deschutes River Conservancy: Twenty-three years ago, the Deschutes River Conservancy (DRC) formed with a mission to restore streamflow and improve water quality in the Deschutes River Basin. The DRC specializes in programs and projects that employ voluntary, market-based incentives to restore flows. The DRC is non-litigious and serves as leaders and facilitators of basin-wide water management conversations. The board is comprised of key private and public stakeholders in the basin. The organization has worked with eight irrigation districts and over 200 landowners to restore over 200 cubic feet per second of streamflow to the basin’s rivers and streams. Next article: Tickets for our 2019 RiverFeast Dinner & Auction now on sale!